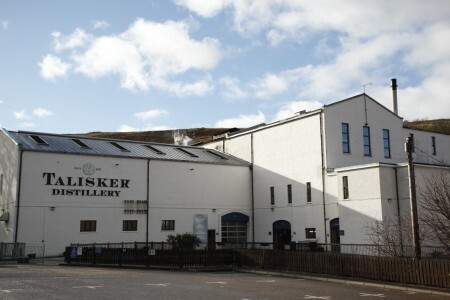 Talisker is a great distillery situated on the Isle of Skye on the north of Scotland which now is linked to Scotland using a new bridge inaugurated in 1995. To get an idea of where Talisker is done, there is no better way ( than visiting the distillery yourself! ) than watching this video around the Isle of Skye. Talisker is nowadays one of the best selling single malts whiskies from Diageo stock, only behind Cardhu. The malt used at Talisker whisky is malted at Glen Ord maltings and peated to around 20 ppm. Although they are peated malts, Talisker single malts whiskies aren’t as peated as Islay whiskies but on the other hand they portrait a delicious spicy peat aromas on the whole range. This tasting has been something very interesting for me because it is a nice chance of seeing the range from the most basic 10 years old to the 30 years old in a single session. Althought I am not a big fan of the Talisker 10 years old, I have to say that I have really enjoyed this tasting and I have fell in love with the 25 and 30 years old whiskies. Most of the whiskies from Talisker are bottled at 45.8% ABV, which it is way beyond the cheap 40% other distilleries bottled their whisky. This extra 6% of alcohol makes Talisker a real joy for being tasted straight. 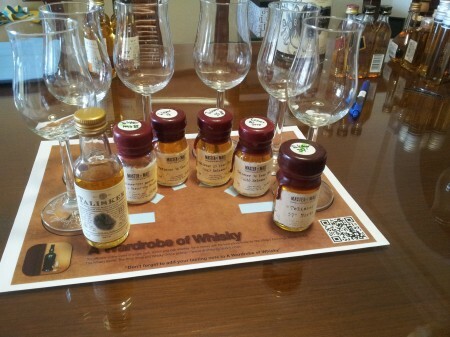 There is no much to say about how I sorted these whiskies, I started with the youngest and left for the end that Talisker 57� North, as it was the one bottled at a highest proof. Nose (90): more than average. peat, honey, citrus, vanilla, cinnamon, wood. Deliciously complex. Palate (91): powerful, oily. peat, wood, floral, citrus, spices, wood, cinnamon. Finish (90): longer than average. peat, floral, wood, spices. So based on other whiskies I have already tasted I rate this Talisker 10 year with 90 points over 100. Part of the Diageo's Distillers Edition bottlings, this Talisker distilled in 1993 is a single malt finished in Amoroso wine casks. Really nice whisky. Nose (89): average. peat, honey, floral, citrus, nuts. Palate (90): powerful, oily. peat, floral, honey, citrus, wood, pepper. Finish (89): average. peat, wood, nuts. So based on other whiskies I have already tasted I rate this Talisker 1993 Amoroso Finish - Distillers Edition with 89 points over 100. Nose (91): more than average. peat, honey, wood, spices, dates, candies. Very good nose indeed. Palate (90): powerful, oily. peat, candies, citrus, wood, spices, pepper. Finish (91): longer than average. peat, candies, wood. So based on other whiskies I have already tasted I rate this Talisker 18 year with 91 points over 100. 70cl / 57.2% / Distillery Bottling - Released in 2005, this was the third Talisker 25yo to be released and was acclaimed at the time as being the best so far. Thankfully the standard has remained at an extraordinarily high level ever since. Nose (92): more than average. peat, sweet, spices, wood, cinnamon, candies, vanilla. Palate (91): powerful, oily. peat, wood, spices, floral, citrus, candies. Finish (92): longer than average. peat, floral, spices, wood. 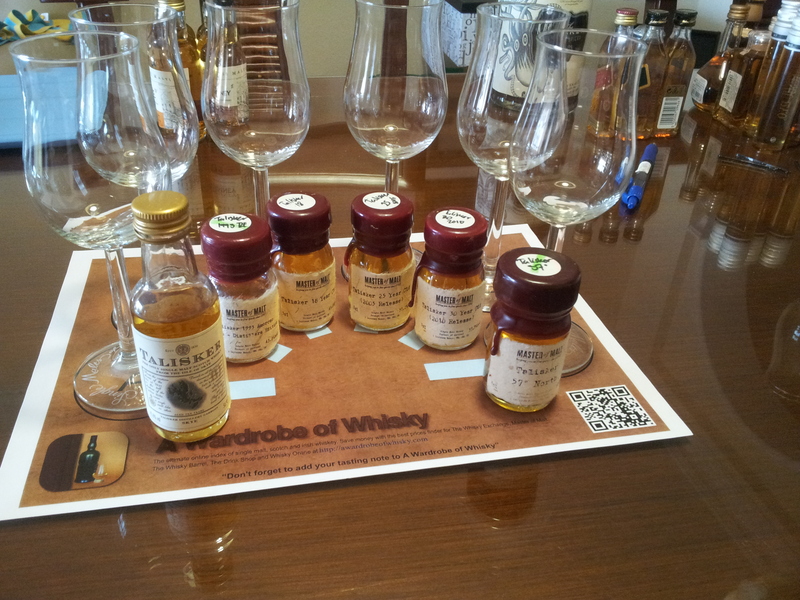 So based on other whiskies I have already tasted I rate this Talisker 25 Year Old / Bot. 2005 Island Single Malt Scotch Whisky with 92 points over 100. 70cl / 57.3% / Distillery Bottling - One of the most consistently excellent of the super premium releases from Diageo, this cask strength Talisker 30yo is vatted from a mix of refill American and European oak casks and sadly limited to less than 3000 bottles worldwide. Nose (92): more than average. peat, candies, flowers, citrus, honey, spices, cinnamon. Palate (92): powerful, oily. peat, floral, honey, candies, spices, pepper, wood, cocoa. Finish (92): longer than average. peat, candies, spices. 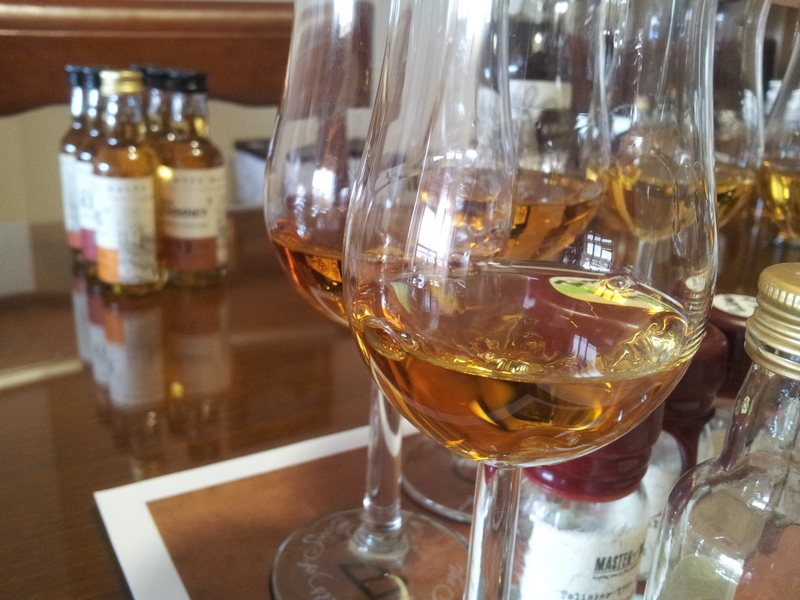 So based on other whiskies I have already tasted I rate this Talisker 30 Year Old / Bot. 2010 Island Single Malt Scotch Whisky with 92 points over 100. A new distillery-bottled cask strength Talisker, 57' North is deceptively smooth for a whisky at this strength, but still a muscular presence on the palate, with the pepper and chilli Talisker hallmarks very much in evidence. Nose (89): more than average. peat, honey, spices, flowers, vanilla. Palate (90): smooth, powerful, oily. peat, sweet, spices, pepper, wood. Finish (90): longer than average. peat, spices, wood. So based on other whiskies I have already tasted I rate this Talisker 57� North with 90 points over 100. If you want to feel conquered by the raw peat aromas and sherry tones of the oldest Talisker, don’t miss a dram of the stunning 25 and 30 years old. This is whisky without nonsenses! I love it.